+I’ve been faithfully watering the garlic and dill on our back porch every other day. The dill is doing so-so, not really growing like I thought it would and the garlic was taking forever to come up, so long that I worried it wouldn’t. Then I saw this last night. 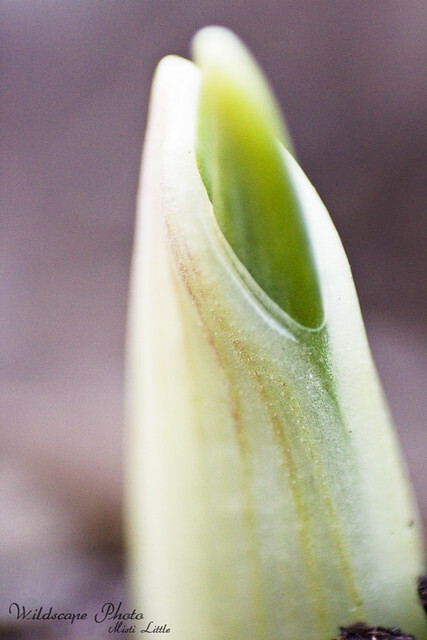 One sprout emerging. +Chris got a bit excited about garlic in the summer and started hunting down elephant garlic which he found at a grocery store and then I think he ordered some online as well. Then he bought a few garlic books. I flipped through one right after we moved in and didn’t realize how interesting garlic could be! +Sometime in late spring or early summer we will harvest the garlic and have enough for a year. I love that! Right now our kitchen cabinets are full of pickles and the freezer is full of cut up zucchini and squash to use at a later date. If only I had enough jars of tomato sauce to last me a year. I miss that. +I’ve missed writing here but I’ve been keeping myself busy. I’ve written a few thousand words on my book and have done some crocheting, plus random errands and such. +My one adventurous thing for the week has been to try mead. I saw it at the store and almost bought it last weekend when my mom was here but didn’t. Tonight I decided to go for it. It tastes pretty good, a tad sweet, sweeter than Moscoto or Riesling. I might throw some of the mulling spices that came with it to see how it tastes. +A very interesting diagram of our dwindling food supply variety. When I planted garlic the first time, it didn’t come up until the middle of December. Of the three types I planted this year, only two types have come up. So beautiful- that photo is SO beautiful! Lets try mead when you are here for Christmas.